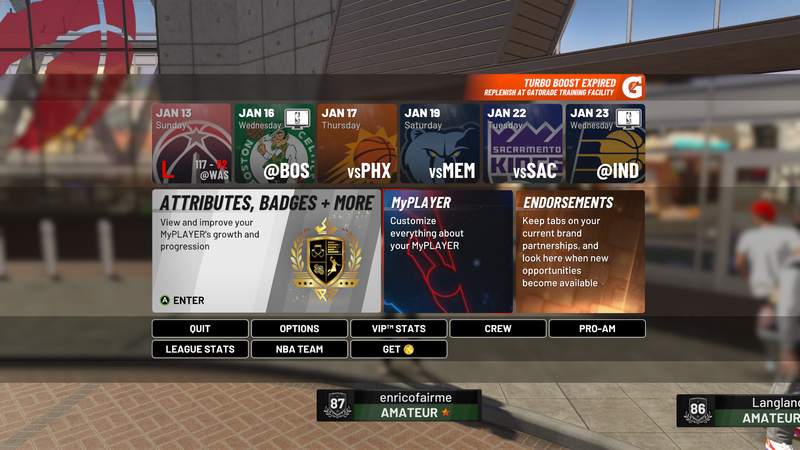 NBA 2K19 features a number of emotes to use while wandering around the Neighborhood. These emotes add a little spice to the game and can seriously set your MyPLAYER apart from other players. If you are interested in setting/changing your emote animations, you’ve come to the right place. Below I will show you how to change emote animations in NBA 2K19. Emotes can be change on the My Animations menu. Scroll all the way to the right to access them. Note: You will have no Neighborhood emotes when you start. You’ll need to buy emotes from the Animation Store which is the tab beside My Animations. These emotes will cost you VC to purchase. As you level up, you will unlock more emotes for purchase. 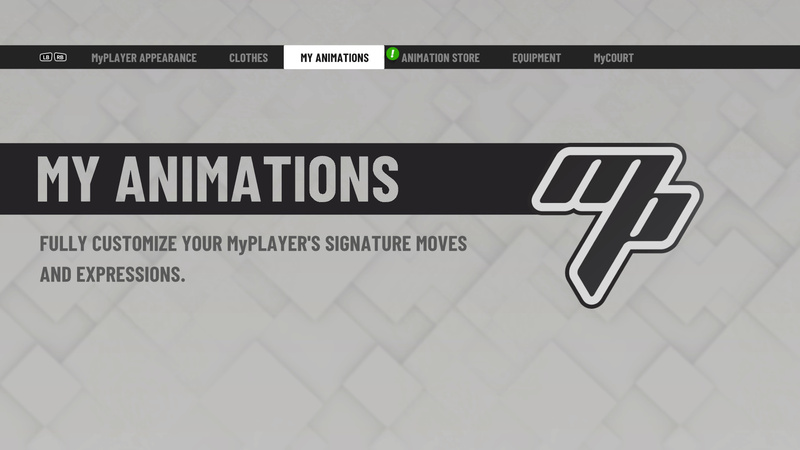 On the My Animation screen you will be greeted by a number of animations to change. 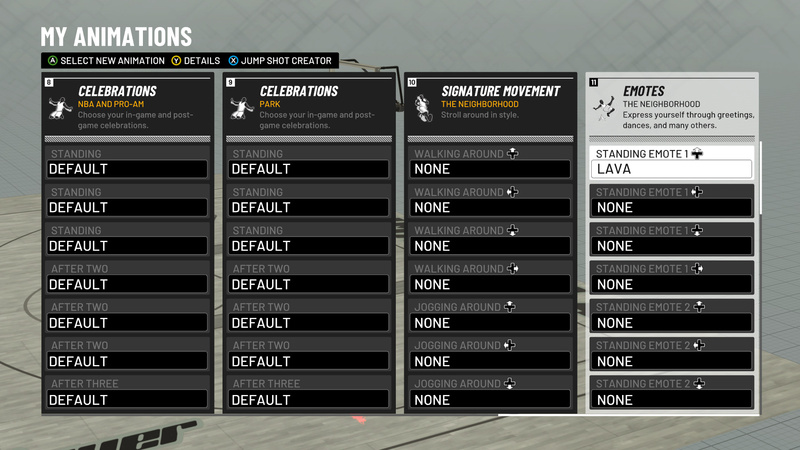 Here you can change the more traditional animations like Jump Shot, Dribble, Dunk, Layup, etc. To change your emotes scroll all the way to the right using the left thumbstick until you reach Emotes. From this menu you can change your various Neighborhood emotes. More: How to change your jump shot animation. Tips on how to change emote animation in NBA 2K19? Drop them in The Pit below. It’s not letting me do my dribble moves that I’ve already equipped, What should I do?